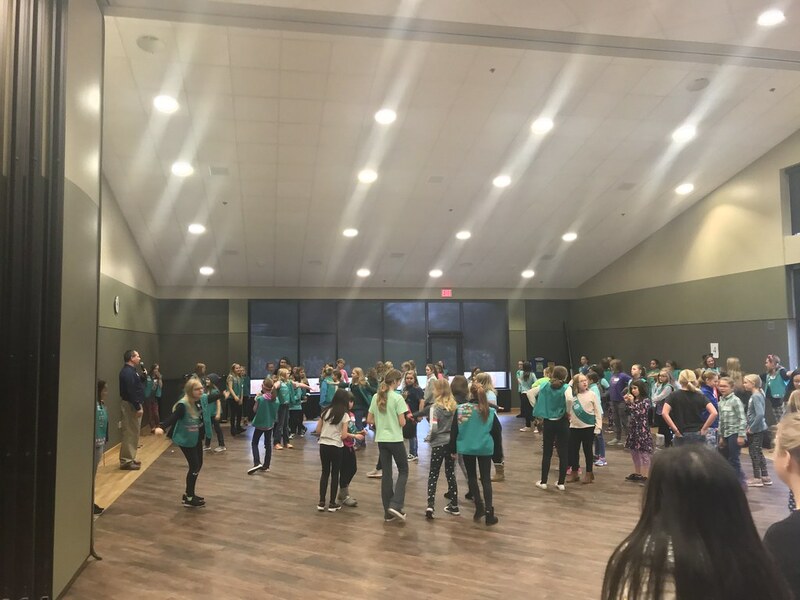 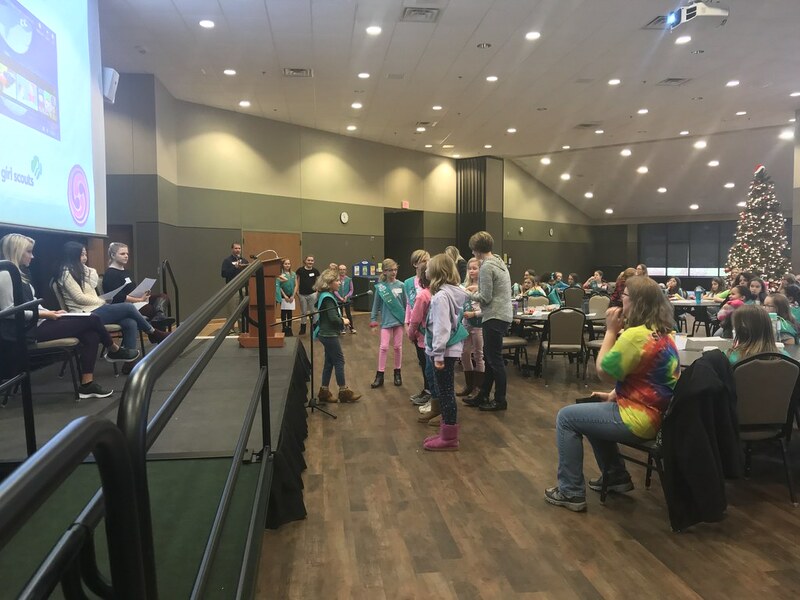 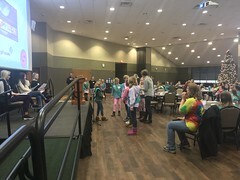 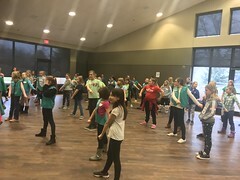 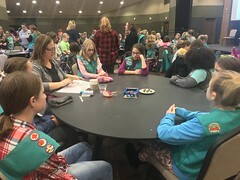 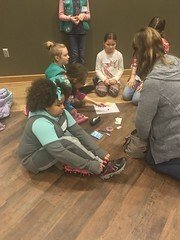 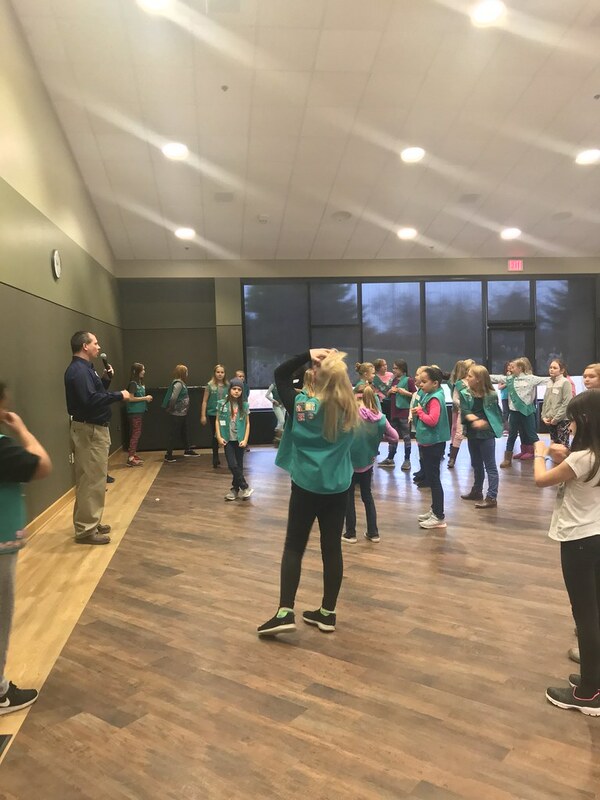 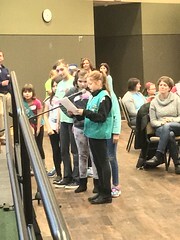 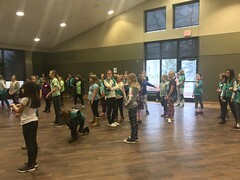 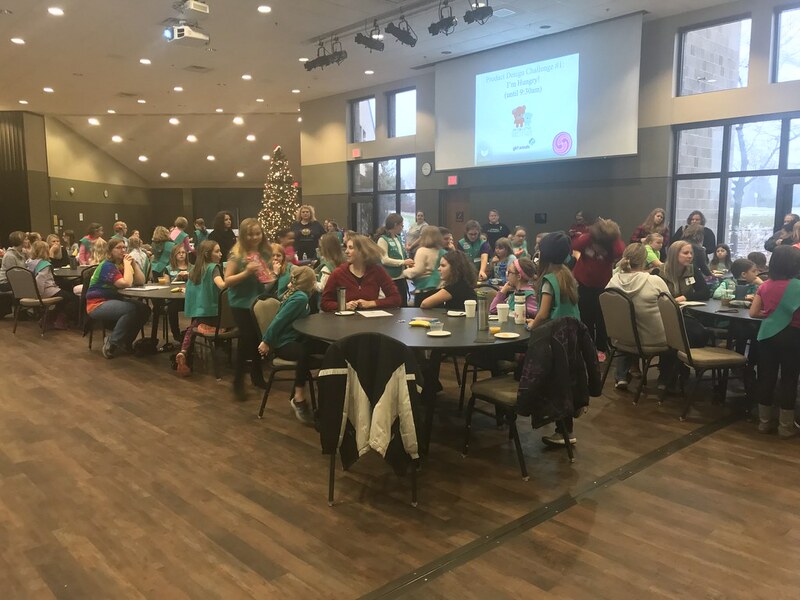 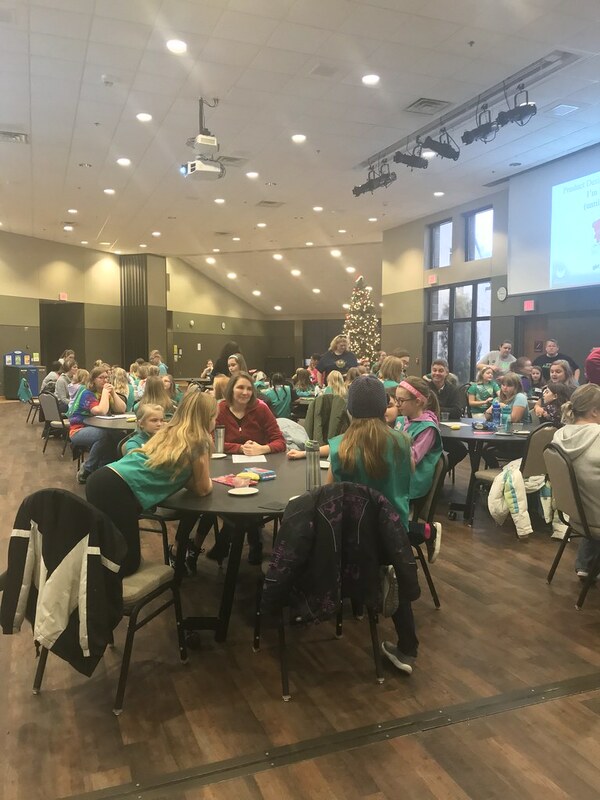 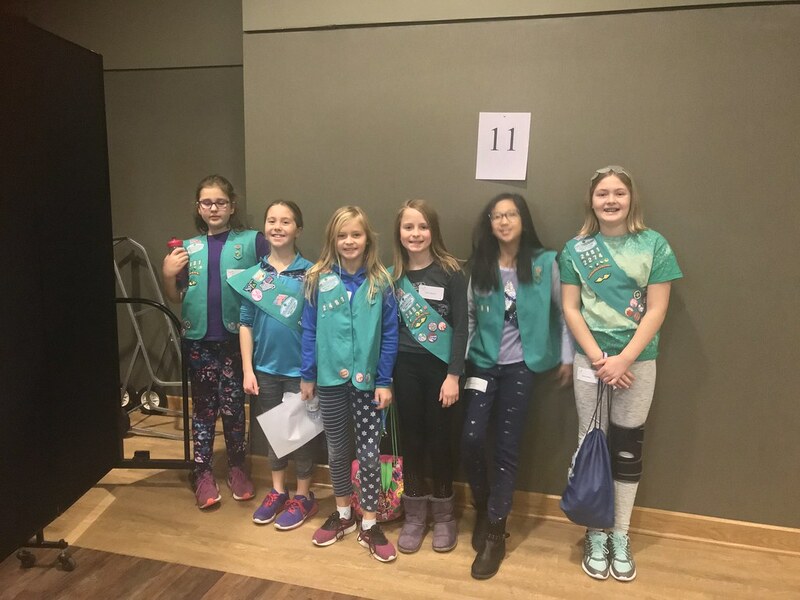 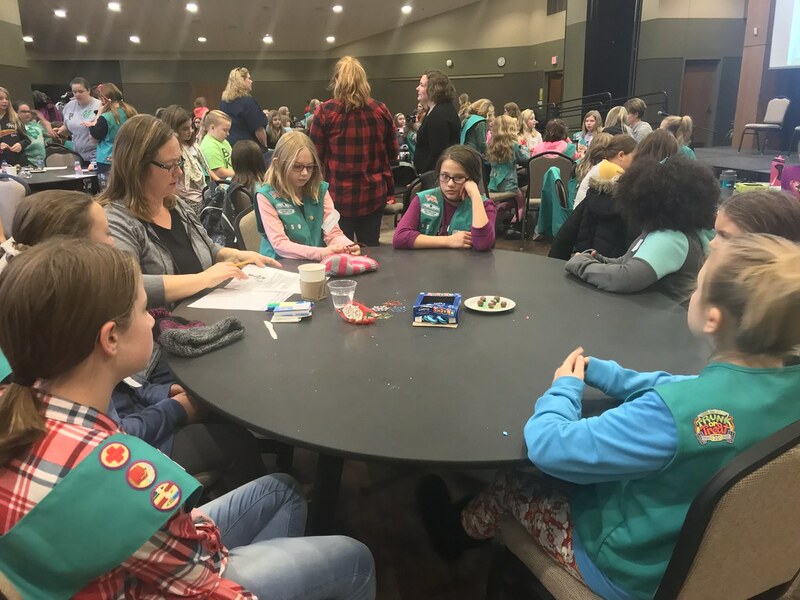 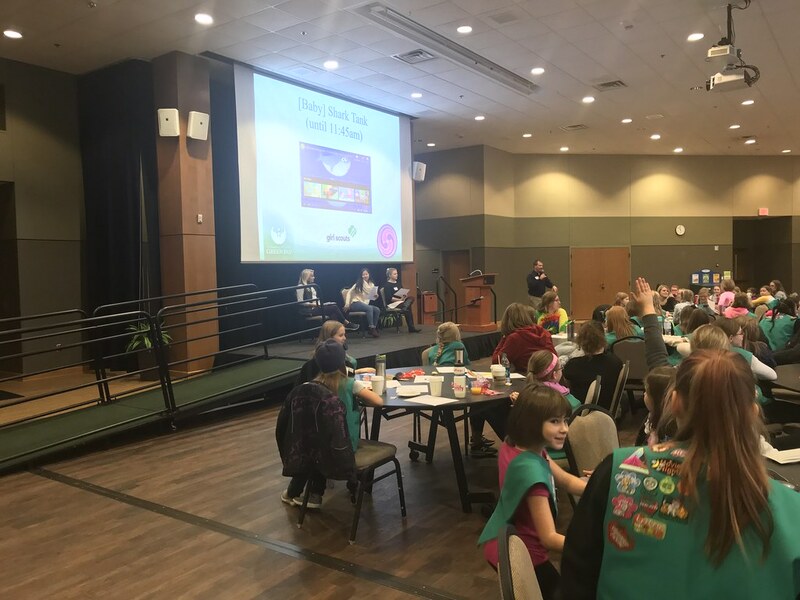 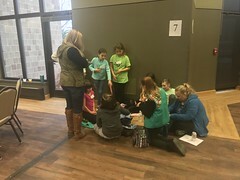 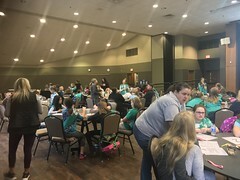 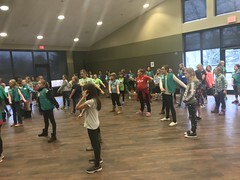 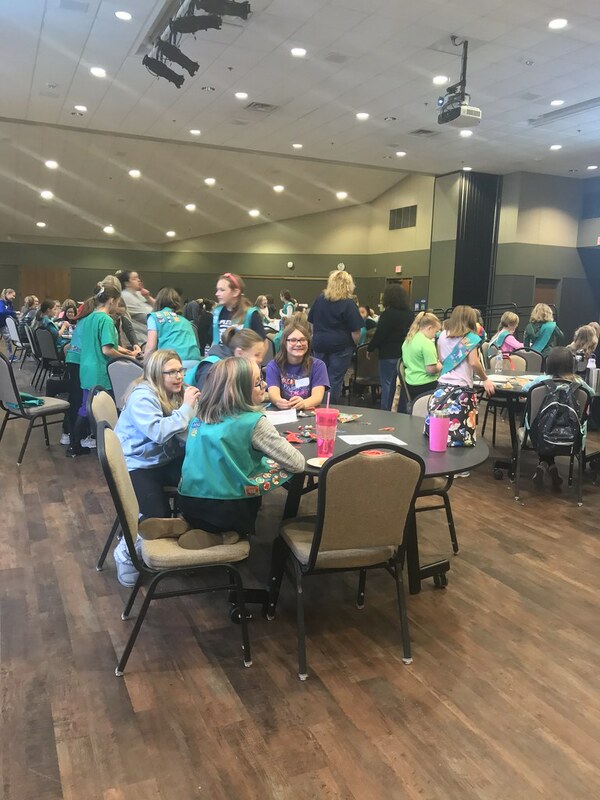 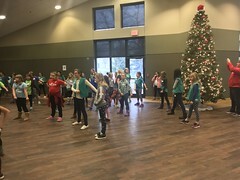 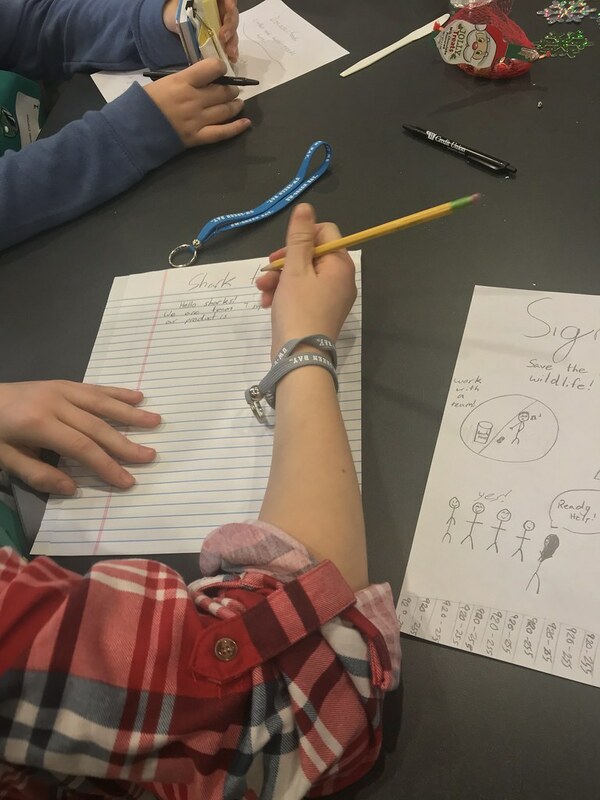 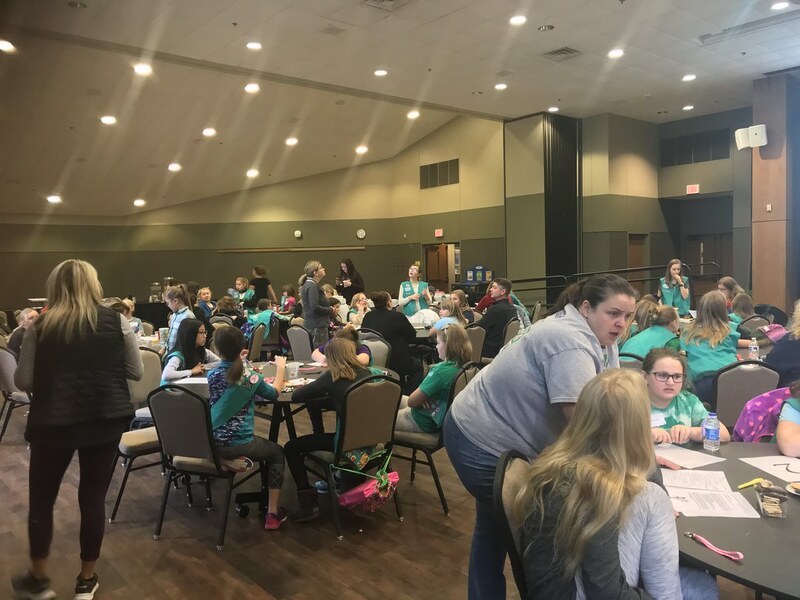 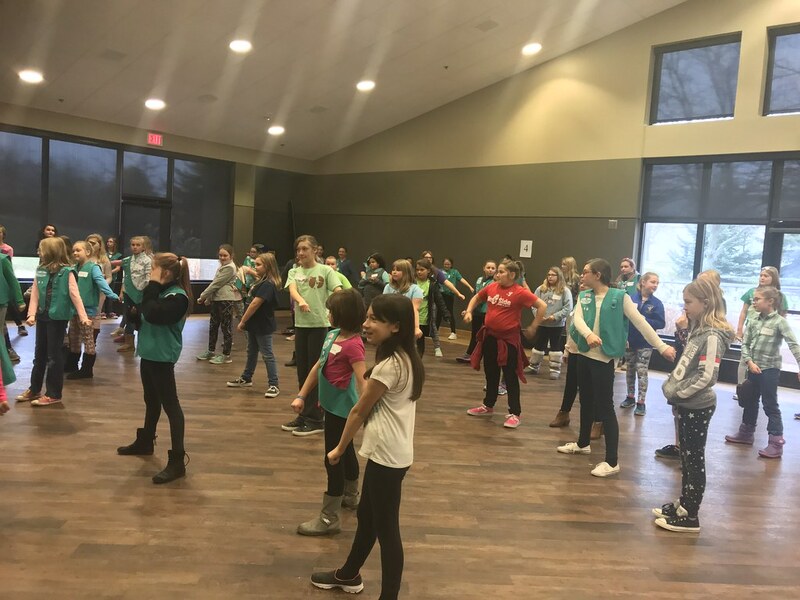 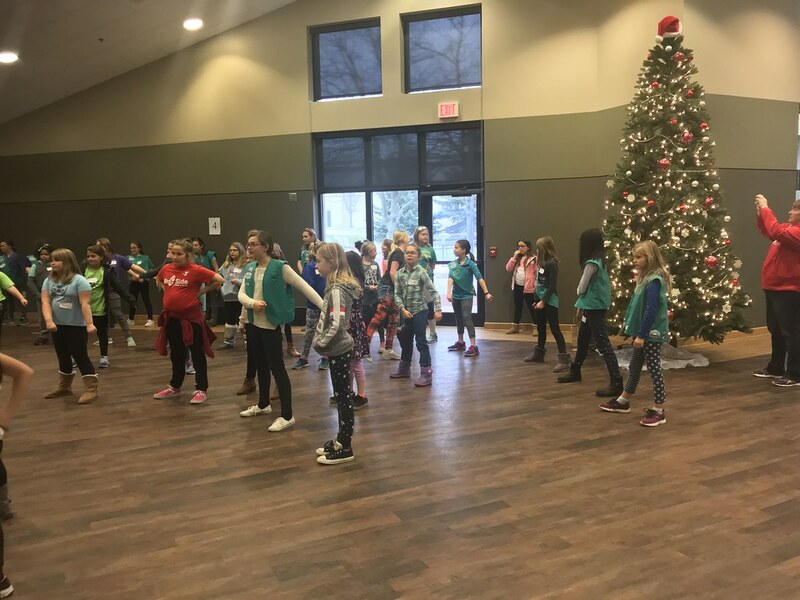 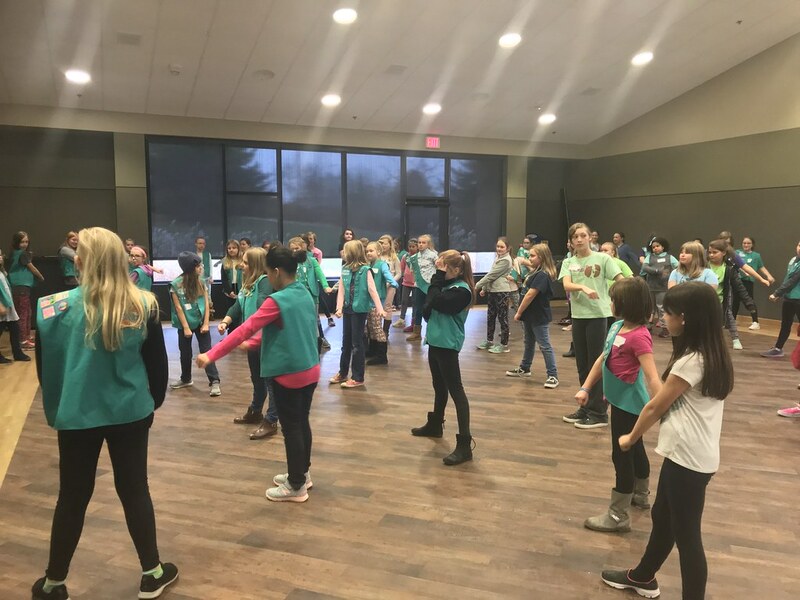 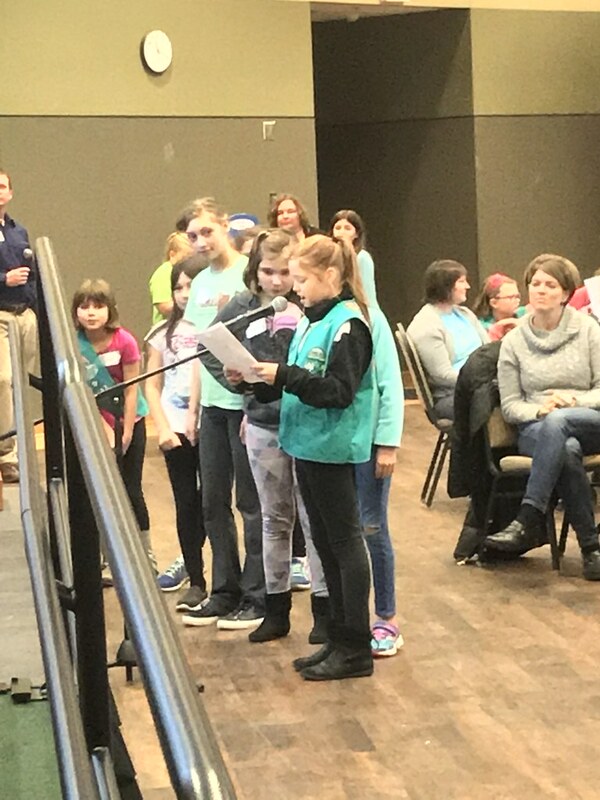 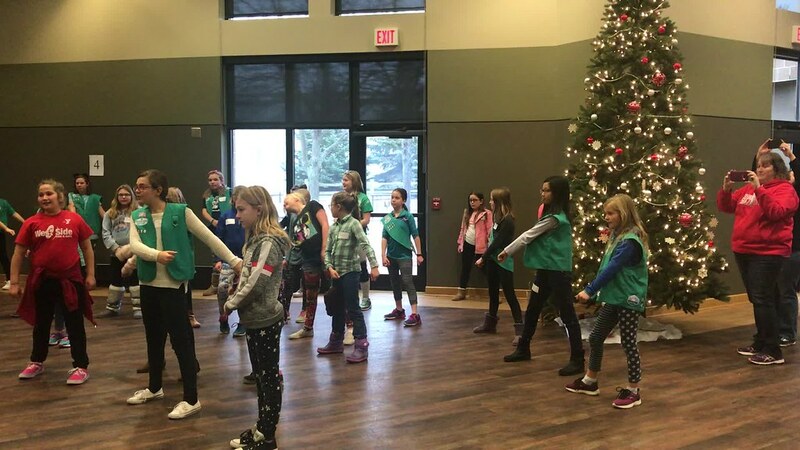 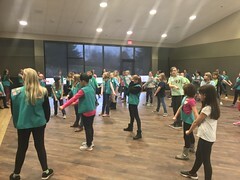 Nearly 100 Girl Scouts earned their product designer badges at UW-Green Bay, in December, with help from UW-Green Bay (Business Administration and Accounting) students and faculty. 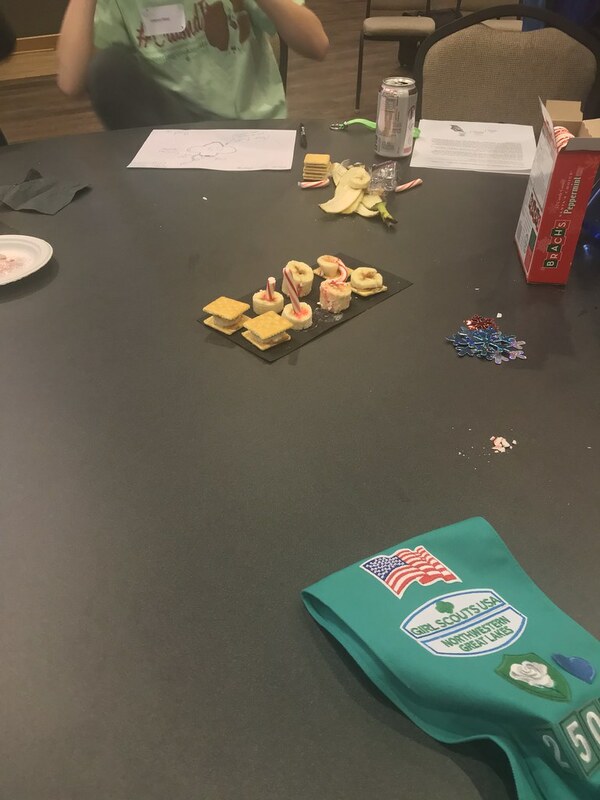 The program, “Unleash Your Inner Innovator,” put the area Girls Scouts through three team product design challenges to create new products. 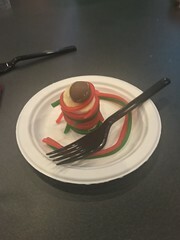 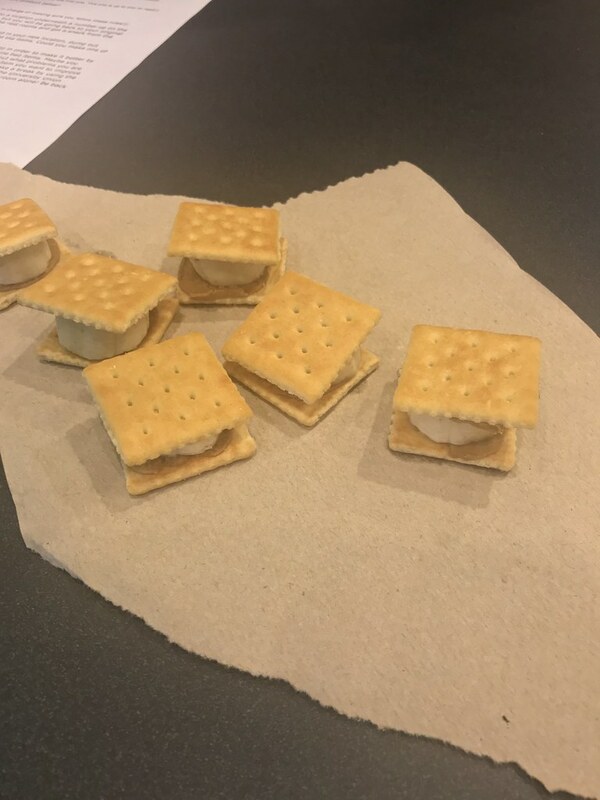 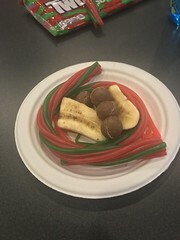 First, they were given three ingredients to come up with their own idea for a (sort of) healthy afternoon snack for their whiny little brother. 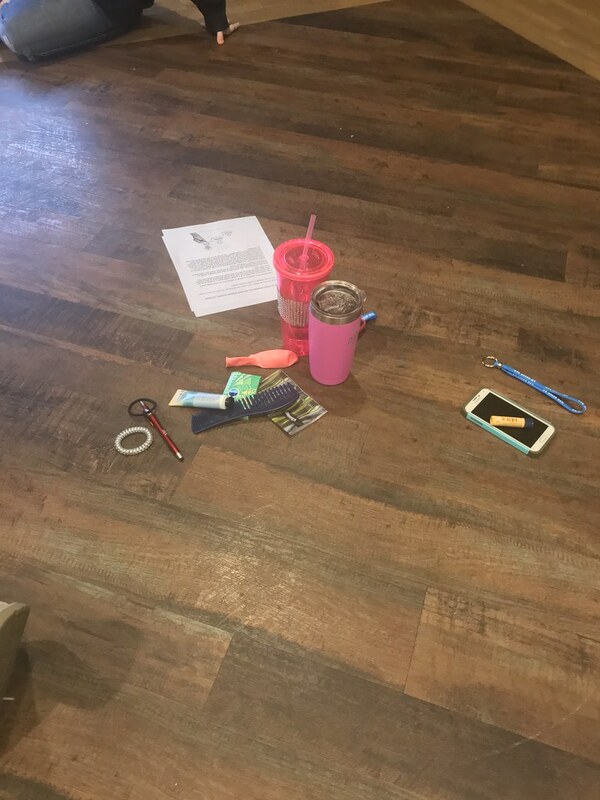 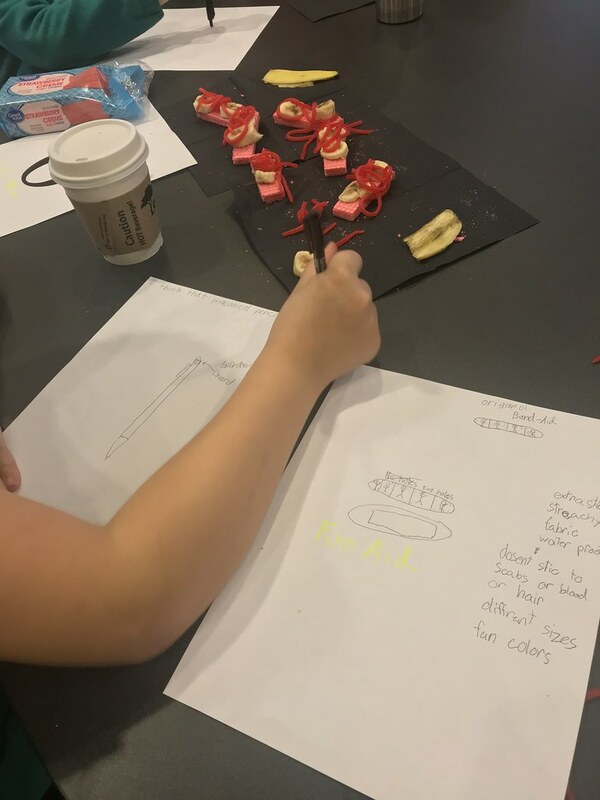 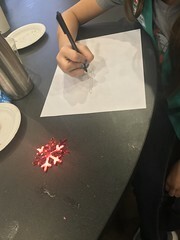 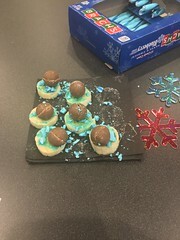 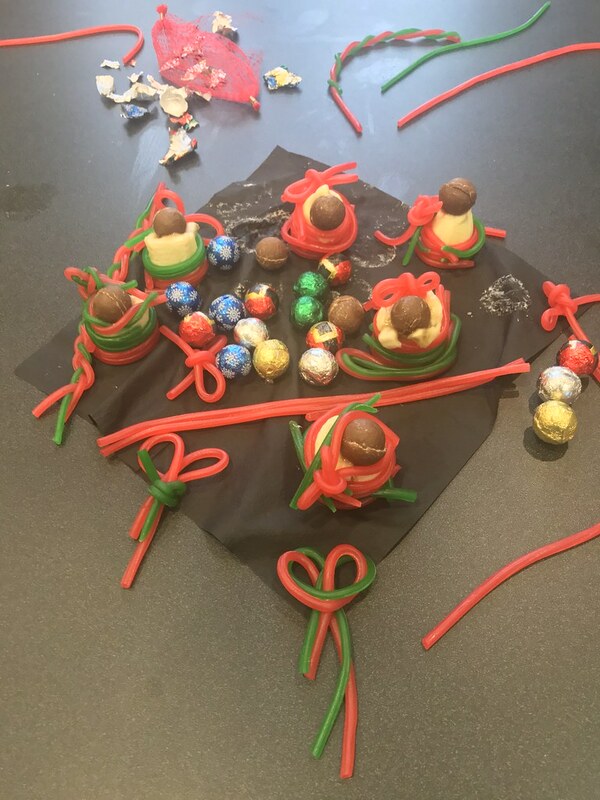 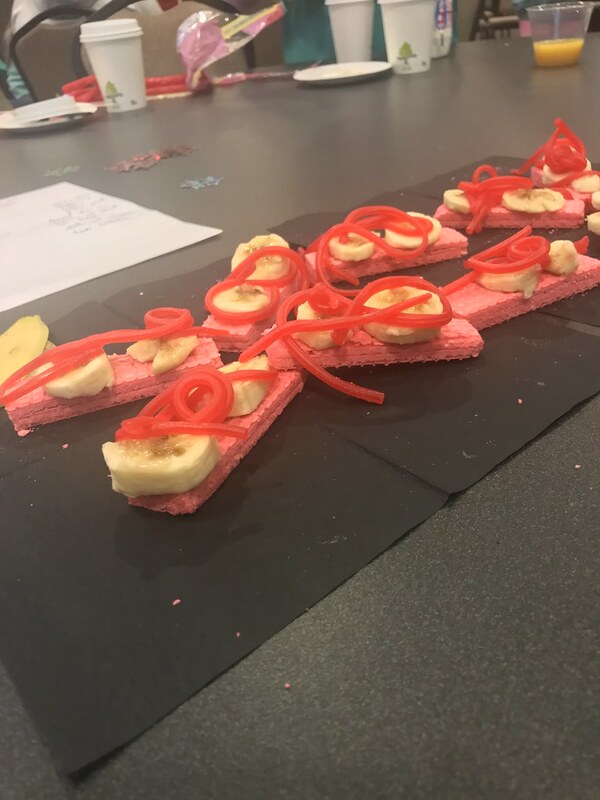 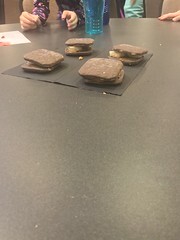 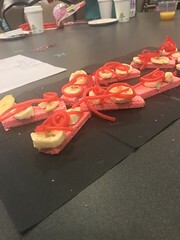 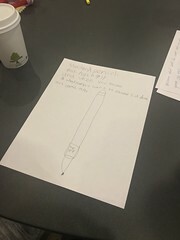 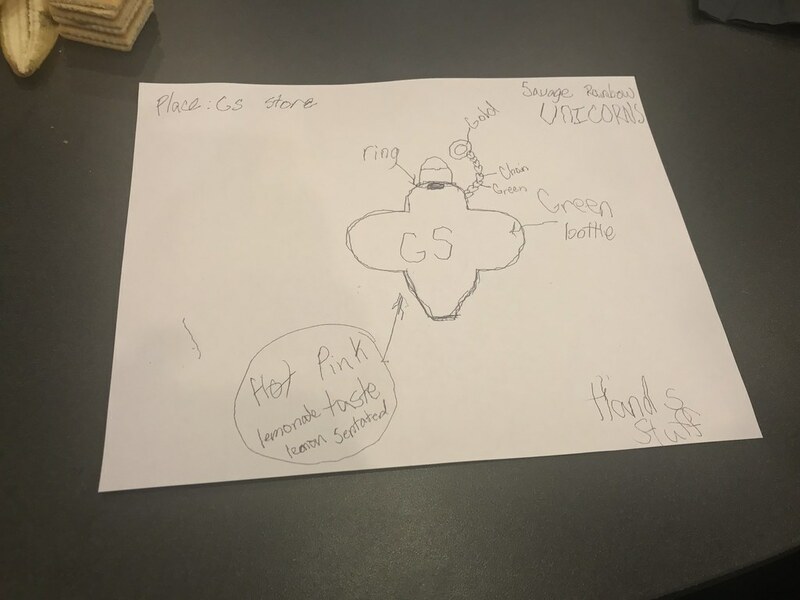 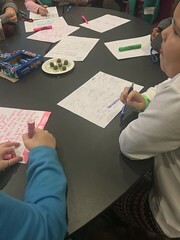 Then, they had to use only items they brought with them and school supplies at a resource table to improve one of those products that they brought with them. Finally, they had to come up with their very own new to the world product and sketch it or map out how it worked. 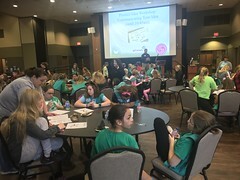 The girls were mentored throughout the morning by Laura Demro and UW-Green Bay Business Administration/Accounting students Brittany Demro, Chelsea Georgia, Jocie Georgeson, former girl scout Courtney Gersek, Victoria Henderson, and Susan Xiong. 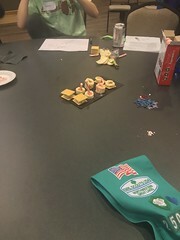 When the three challenges were complete, each team of girls was coached on how to craft and communicate a pitch based on one of their three products. 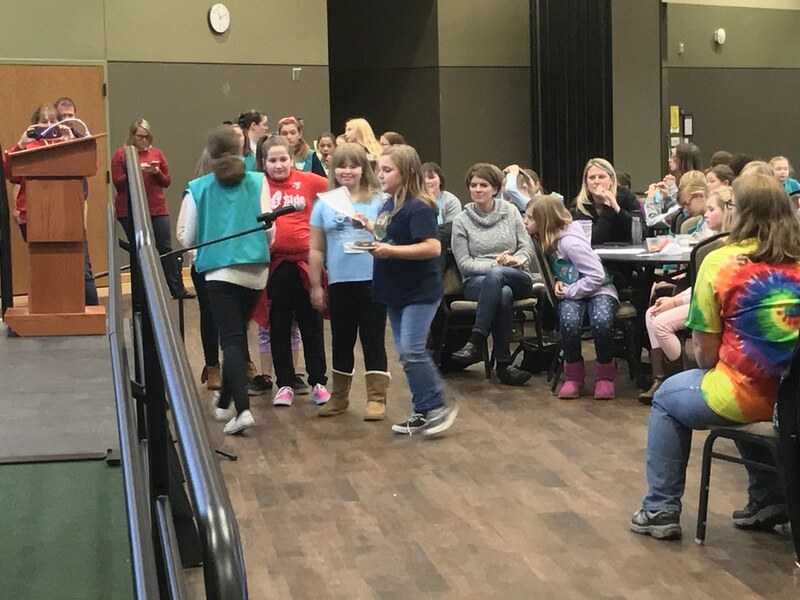 Each team had each girl speak into a microphone in front of the room to three “sharks” who asked them questions about their products. Questions from the “sharks” included their ideas for how to price their new product, how to get their new product to their customers, and how to promote their new product. 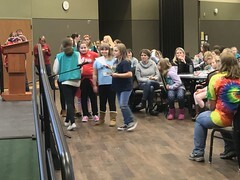 The “sharks” — Baby Shark, Mommy Shark, and Grandma Shark — were played by UW-Green Bay students Georgeson, Xiong, and Gersek, respectively. The event was sponsored by the Austin E. Cofrin School of Business. 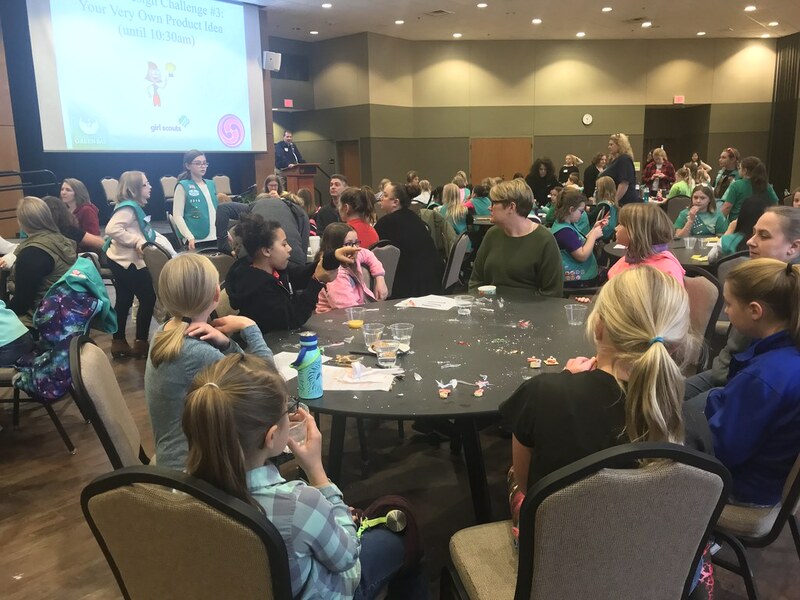 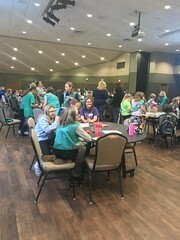 Photos and the video of the “unofficial world record for ‘Most Girl Scouts Flossing'” are courtesy of program manager of the Girl Scouts of the Northwestern Great Lakes, UW-Green Bay alumnus Brittany Pyatt ’15 (Psychology & Human Development).